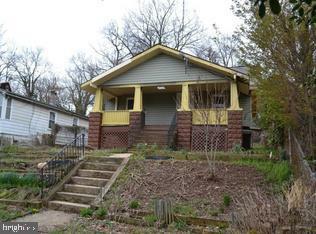 Great opportunity to purchase way below market value in Hyattsville . Needs work, but possibility is endless. Sold strictly AS IS. Buyer to verify ground rent, if exists, seller will not redeem. Seller does not guarantee accuracy in this listing, buyer/agent to verify. Buyer pays all transfer and recordation, cash or hard money only. Listing courtesy of Allfirst Realty, Inc..